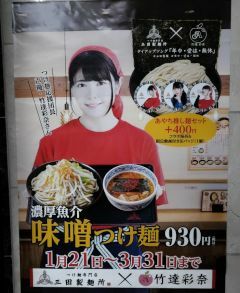 Between January 21 and March 31, 2019, there was a collaboration at the Mita Seimenjo (三田製麺所) restaurant with Taketatsu Ayana. 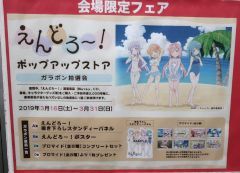 Between March 16 and March 31, 2019, there was a popup store on the 7th floor of Gamers for the TV anime Endro. 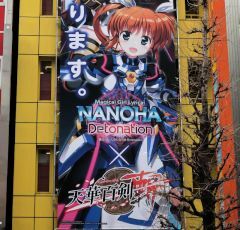 In March 2019, there was a large advertisement on the front wall of Lamm Tarra for the Magical Girl Lyrical Nanoha Detonation collaboration in the game Tenka Hyakken Zan. In the middle of March 2019, there was a store front display at Gamers for the trading card collection by Ogura Yui. 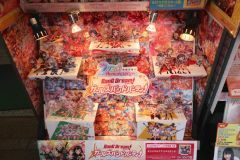 In March 2019, there was a store front display at Gamers for the second anniversary for the game Bang Dream Girls Band Party. 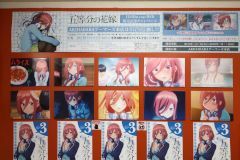 Between March 5 and March 31, 2019, there was an exhibit on the 4th floor of Gamers for the TV anime 5 Toubun no Hanayome. 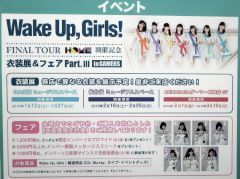 Between March 1 and March 10, 2019, there was an oufit exhibit on the 5th floor of Gamers for the seiyuu group Wake Up Girls. 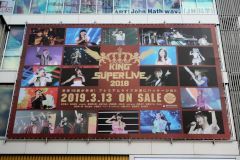 At the beginning of March 2019, there was a large advertisement on the front wall of Radio Kaikan for the King Super Live 2018 bluray disc set. The bluray package goes on sale 3/13.